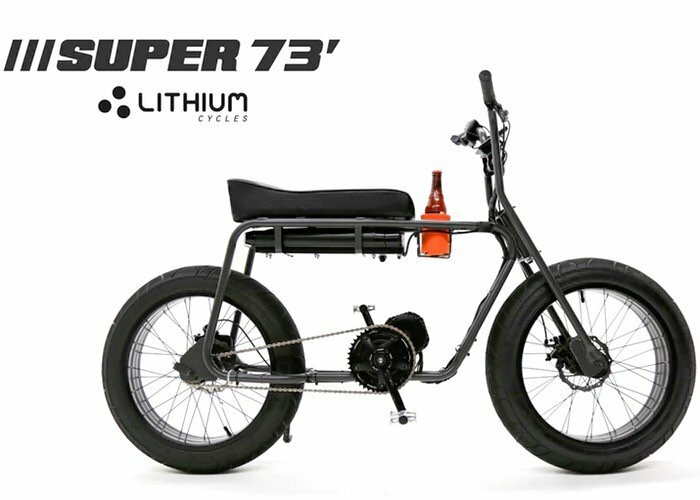 Lithium Cycles has this week taken to Kickstarter to raise the $25,000 they require to take their new Super 73 electric bike into production. The Super 73 is equipped with 1000 watts of power and is available to back with pledges starting at $1799 for early bird backers. Worldwide delivery is available to certain countries and shipping is expected to start for the early bird specials in October 2016. Check out the video below to learn more about this electric bikes unique power system that provides a cruising speed of over 25 mph. Equipped with 4.25 inch wide semi slick tyres the Super 73 electric bike is capable of riding on any terrain and is equipped with disc brakes for quick and effective stopping power, also soon as you start breaking power to the engine is stopped. Lithium Cycles explain a little more about the inspiration, design and manufacturing behind their awesome electric bike. The idea started in 2015 while our co-founder Jon Akers was finishing his Masters of Engineering at Lehigh University. We love bikes and our goal was to create a new kind of electric bike with cutting edge technology while looking at the past for design inspiration. Motorcycles, mopeds and mini bikes of the 1970’s drew our attention as durable, fun and timeless. Now located in Southern California, we’ve got a 4000 sq ft manufacturing space of our very own and are ready to crank out the Super 73′, our ebike inspired by the 70’s. There’s a core group of four of us here at Lithium Cycles. Between us, we’ve worked at Honda, Yahoo, P&G, various bike and scooter startups as well as electronic companies and have designed and launched over 20 products. A powerful electric bike full of features. Go anywhere with 1000 watts of power, Californian design, and even a cup holder. A Thumb Throttle controls the motor and an LCD screen displays key information like speed and distance. Our 1000 watt Electric Motor is one of the best in the industry. The battery can be locked and removed for added security. The Super 73′ has a USB port for charging your phone on the go. For more information on the new Super 73 electric bike jump over to the Kickstarter website for details by following the link below.